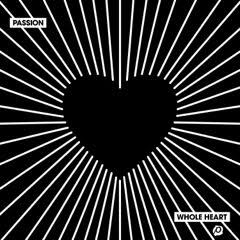 The song tittled "Whole Heart" is the first song I listened to on this album. It's easy to listen to and sing along with. The words are clear, meaningful, and tell us that Jesus gave his whole heart for us. "Almighty God" was the second song I chose to listen to, and that's just it, God is Almighty. People rejoice, hold their heads high and praise God. Our days don't always go as we wish, and there are days we wonder why O God are things not going our way, but we need to praise God for his wisdom and the path he has for us. I've actually been spending the week visiting my mother in the hospital, and as of now I write this from my hotel room. God is Almighty. He knows just what you need and when you need it. The strength of a song to me is a wonderful way to praise God, and to find strength for your body and soul in times of need or praise. For your chance to win a copy of Whole Heart CD, enter the rafflecopter widget below. Please Note: Only one entrant per mailing address, per giveaway. If you have won a prize from our sponsor Propeller /FlyBy Promotions in the last 30 days on the same blog, you are not eligible to win. Or if you have won the same prize on another blog, you are not eligible to win it again. Winner is subject to eligibility verification. Giveaways are open to continental U.S. residents only. Closed: Winner is Andrea! Thanks for entering and sharing.